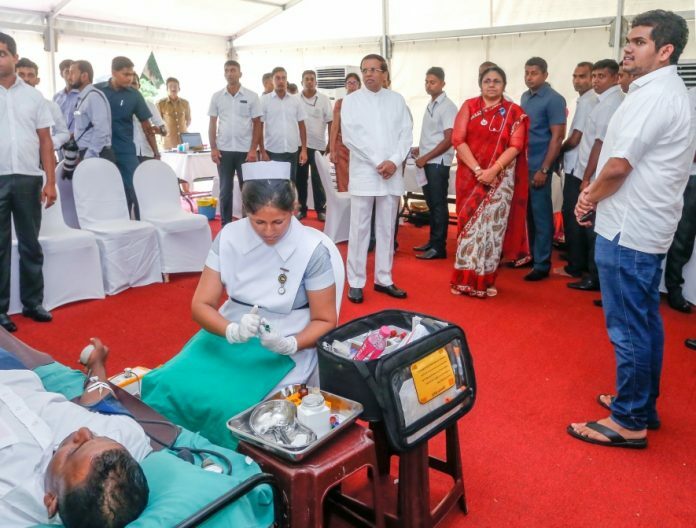 The staff of the Presidential Secretariat yesterday organized a blood donation camp at the President’s House in Colombo. This is the first time that a blood donation camp organized at the President’s House and President Maithripala Sirisena also undertook an observational visit to the place. The President engaged in a friendly conversation with the staff, including the medical team.